(Real Simple Syndication) is a format of Internet news distribution, such as Gol | Investor Relations's News and Announcements. By using RSS you get to know immediately when any information that interests you is published. In order to receive information disclosed by Gol | Investor Relations IR you must have a RSS reader. There are many readers, free and not free, available in the Internet. We indicate the FeedReader (www.feedreader.com), which is free. 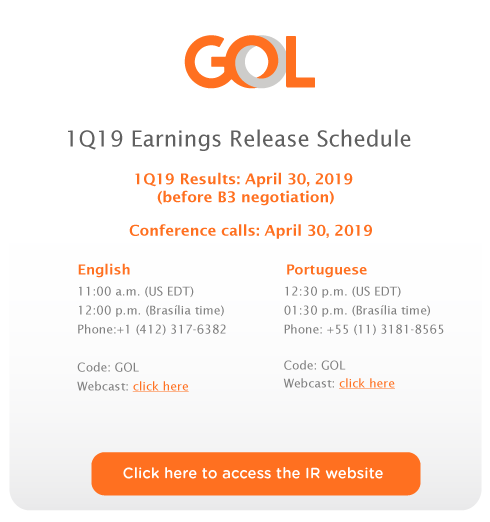 How to add Gol | Investor Relations's RSS? You just have to copy the address below and add it to your reader.